At the end of January (I know - I'm behind) Cooper was REALLY fussy one afternoon. 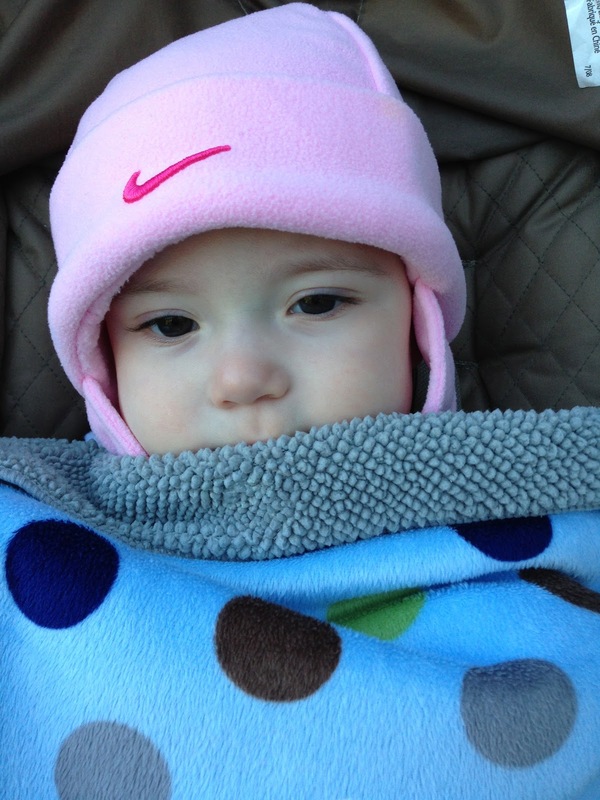 I knew for sure that a stroller ride would cheer him up. It was still pretty chilly outside (and we were at Grammy and Pop's), but the only hat we could find was an old one of LL's. 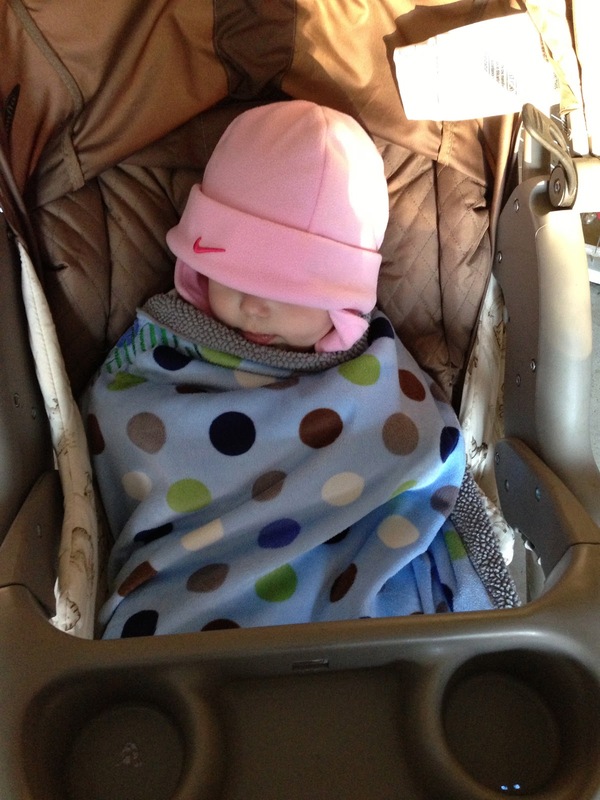 I put it on anyway because I knew he would enjoy being outside and - really - who cares?? 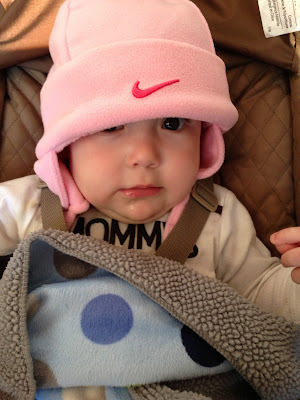 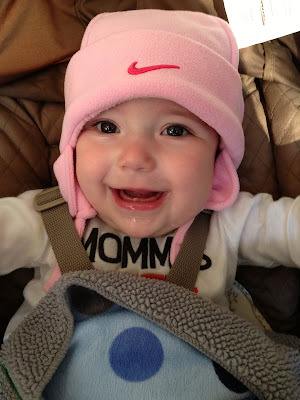 I guess this is the life when you are the second kid and all anyone can find is your older sister's pink hat!